On June 29, 1881 in Richmond, Utah, Sarah Jane was born to Edwin and Rosanna Black Spackman. She was the first child born after her parents had moved their family to Utah from England. 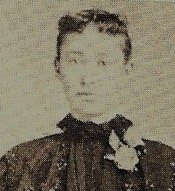 She was the eighth child in the family of twelve children. Her brothers were Amos, Henry Edwin, William George, Francis Albert, Alma, Brigham and Joseph Hyrum. Her four sisters were Annie, Charlotte, Alice and Ellen. Two of the children, William and Ellen died when they were babies. Most of her childhood was spent in the Richmond, Cove and Lewiston area. They lived in St. George one year, Provo four years, and in 1898 they lived in Preston or Dayton for a short time before returning to Richmond. She married George Hodges on January 2, 1901, and later that same year this marriage was solemnized in the Logan L.D.S. Temple on October 9, 1901. 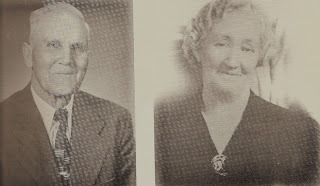 After their marriage they lived in Lewiston, Utah for two years where their first two sons were born. When George Edwin was 15 months old and Elmer LaMont was 2 months old, they moved to Canada. They were there for a year and then moved to Richmond where Joseph Lloyd was born in 1905. They were living in West Warren, Utah when their 4th son, Cecil Farren, was born in 1907. They moved back to Richmond where their first three daughters were born. Gladys Ann in 1908, Malinda in 1912, and Edna in 1915. When Edna was a few months old, they bought a farm and moved to Preston, Idaho. Valeta Nelda was born in 1919. They later bought a home at 3rd West and 8th South and Belva Dean was born here on May 10, 1923. Besides her nine children, she raised Ed’s daughter, Eda, after her mother died when she was three months old. They also helped raise Melvin, Blaine and Gayle. When Edna died in 1938, they took her three children, Betty, LaVere and Marjorie Bowman. She always had time to tend her grandchildren, help when someone had a new baby or there was sickness or a death in the neighborhood. She also took good care of her mother. Whenever she was sick or unable to care for herself, they would take her to their home, put her bed up in their front room, where she would be warm and comfortable, and they could take care of her until she felt better and was able to go back to her own home. This is the way they took care of her for many years before she died at home in 1935 when she was 87 years old. She was always up early in the morning and busy doing something. In the summer she had a large garden with fruit trees, currents, gooseberries, strawberries, and raspberries. She would pick raspberries all day and sell them for 8 quarts for a dollar. Besides her vegetable garden where she grew most of the food for the family, she always had a lovely flower garden with many beautiful shrubs and flowers. There were always plenty of flowers to take to the cemetery. Her yards were kept free of weeds, always neat and clean. Each winter she made several quilts, braided many rugs and sewed and mended clothes for her family. She had a special talent for piecing quilts and was a beautiful quilter. Every stitch had to be just right. Many old clothes were made over into lovely warm quilts or clothes for her children or grandchildren. She never wasted anything and could always take something old and make it into something useful and nice. On October 31, 1948, she started to cross the street just west of the intersection, at first south in Preston. A car came around the corner and ran over her. She had a broken ankle and wrist, back injuries and internal injuries. They took her to the Preston hospital where she died on November 23, 1948 at the age of 67.